The US Air Force (USAF) has confirmed that it has identified the root cause of "hypoxia-like" incidents that have been afflicting its fleet of Lockheed Martin-built F-22 Raptor fighter jets, a senior service official has announced. USAF chief of staff General Norton Schwartz was quoted by Flight Global as saying that the potential source is an insufficient supply of oxygen to pilots and not contamination, as suggested earlier by the Air Force Scientific Advisory Board. The root cause of the problem was due to a mix of shortcomings in the hardware of the pilot’s life support gear, which were identified during tests that were conducted inside an altitude chamber and a centrifuge, as reported by the news agency. "Part of that is the upper pressure garment of the g-suit assembly," Schwartz added. "Part of that has to do with hose and valve and connection hardware in the cockpit." The confirmation has prompted US Defence Secretary Leon Panetta to order gradual lifting of restrictions that were imposed on long-duration flights of Raptors in May, after pilots reported persistent hypoxia-like symptoms during flights. "The root cause of the problem was due to a mix of shortcomings in the hardware of the pilot’s life support gear." Pentagon Press Secretary George Little said the F-22s may gradually resume long-duration flights for deployments, aircraft deliveries and repositioning of aircraft. According to military officials, the air force is likely to approve most long-duration flights, following completion of Japanese deployment in September this year, as well as place an altitude restriction on the aircraft, eliminating the need for pilots to wear pressure vests. The service also ordered Lockheed to install automatic backup oxygen supply systems in stealth fighter fleets, as part of a $19m contract awarded in June 2012, with deliveries to complete by 30 April 2013. 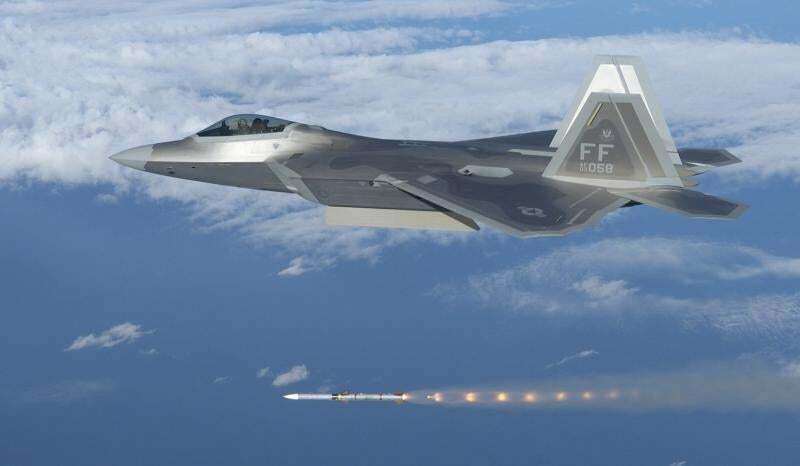 Image: An F-22A Raptor firing an AIM-120 AMRAAM missile at an aerial target drone during a Combat Archer mission. Photo: courtesy of USAF Photo by Master Sgt. Michael Ammons.